Korea, a country half a world away. 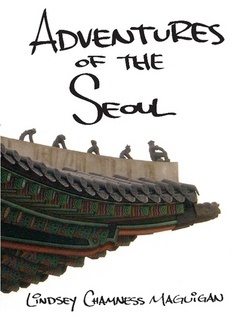 When Leila first arrives in Seoul with two other Tennessee girls, the shock is almost unbearable. The language is difficult. The culture is different. But she soon finds friends in the dorm, and one Minnesota girl, Mackenzie, becomes an especially close ally. As the international students explore the enormous city, Leila starts to break out of her shell. Is there anything she can’t do? On a chilly December night, Leila and Mackenzie meet two Koreans outside their school, Yonsei University. That moment changes everything. The book synopsis is interesting!